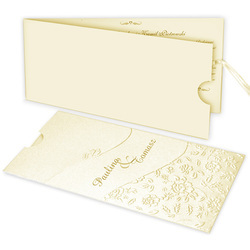 An elegant invitation made from ecru pearl paper. 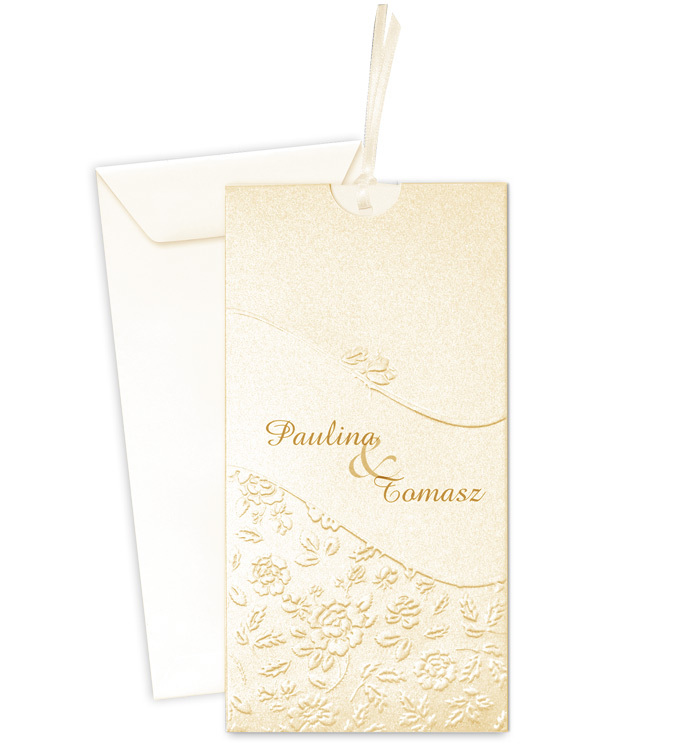 An embossed floral ornament decorates the cover. 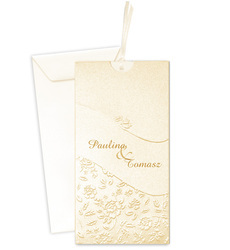 The names of the bride and groom are also printed on the cover. 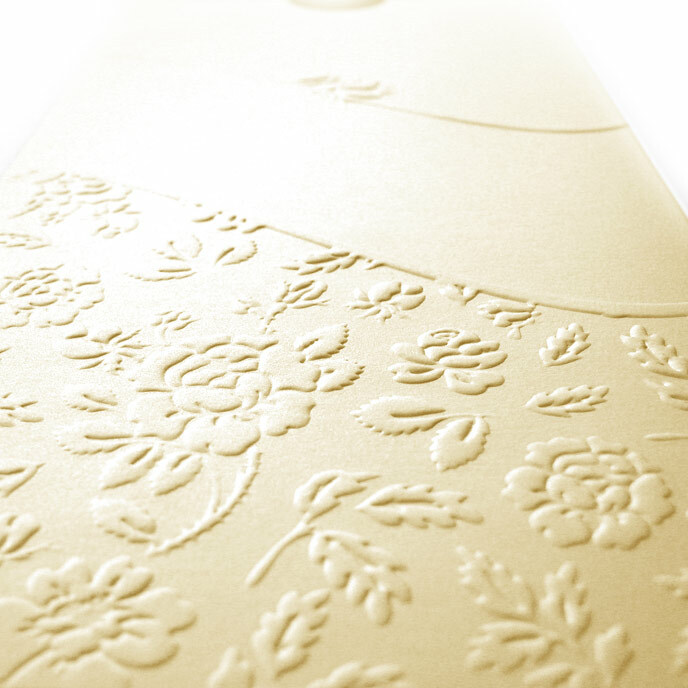 The insert for printing text is made from ecru matte paper. 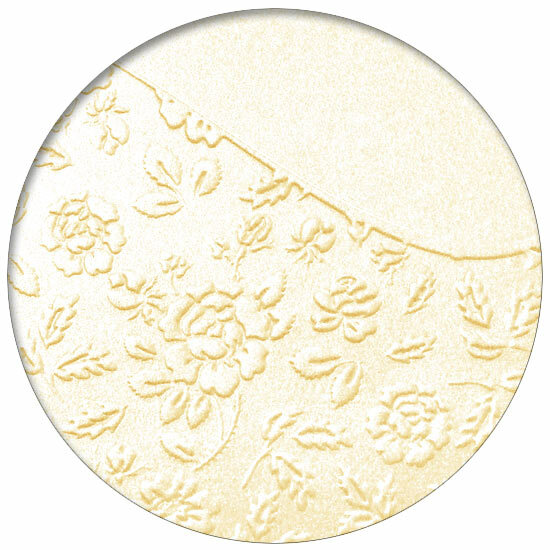 An ecru satin ribbon is attached to the insert. 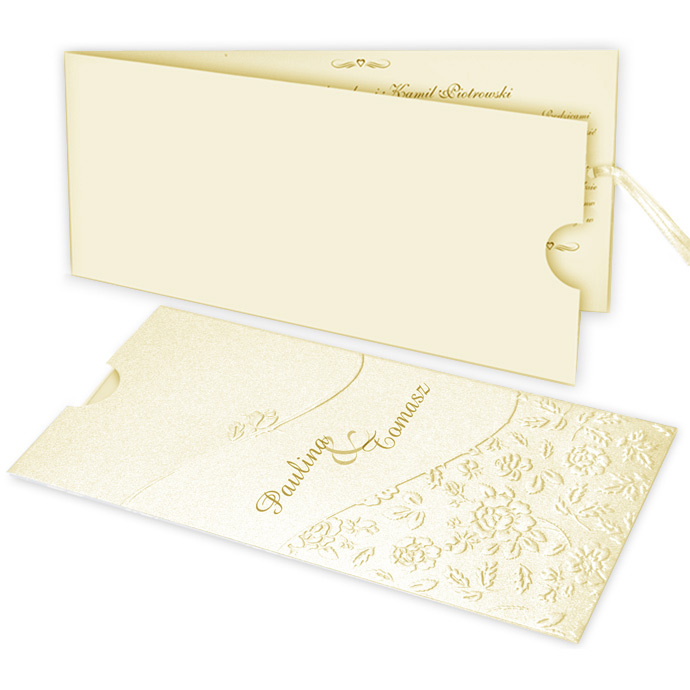 The invitation is made with great care and attention to detail. 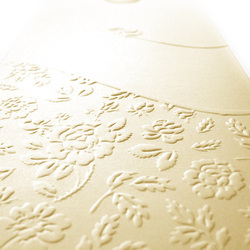 Precise printing, careful execution, and high quality paper. 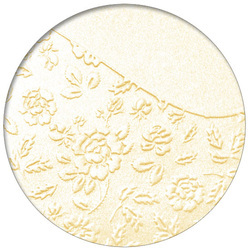 An envelope (130g/m2) is added FREE.